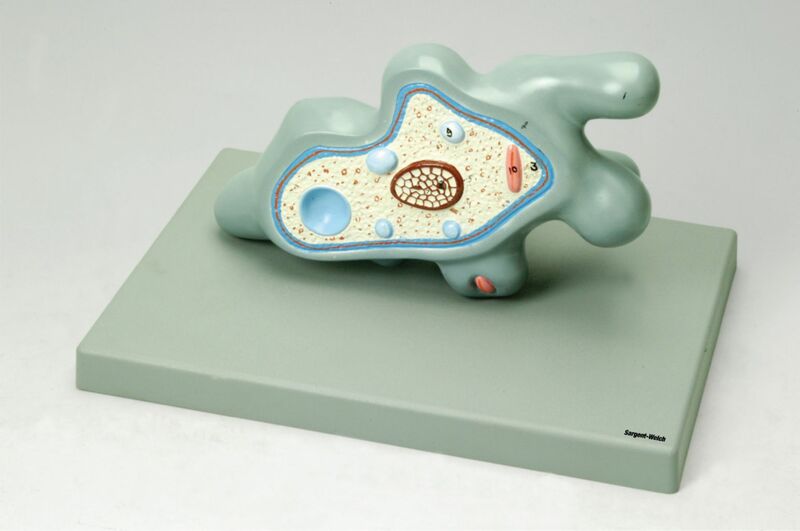 This model reveals all the critical parts of the Amoeba proteus. It's in a locomotive position and mounted on a base. The model shows the nucleus, contractile vacuole, plastids, and more. It also reveals the movement of food vacuole.